Wisconsin 4-H promotes intercultural awareness and understanding, and challenges youth and families to become better global citizens by providing opportunities to establish close relationships with people from different cultures through international home-stay and hosting experiences. Month-long travel and hosting opportunities are available through Wisconsin 4-H and our partnering organizations in Japan, Korea, Mexico, Costa Rica, Argentina, Finland, Norway and Australia, as well as opportunities to host year-long high school students from Japan, Korea, or Eurasia. International learning workshops are offered at the at the county, district and state levels, and adult volunteer leadership positions are available as well as youth exchanges. Youth between the ages of 12 through 18 are invited to consider the opportunity of travel to another country as a representative of our 4-H program. Funding is available to help with expenses through local 4-H and state scholarship applications, though each delegate and their family are responsible for fundraising at least $1,000 of the expense. Hosts are needed for 4-H summer and Academic Year international students. Share your American culture and life by providing a welcoming home to a new friend from another country. Host an International Teen this Summer! There are several young people from Japan and South Korea who would love to spend time with Wisconsin 4-H youth this summer! Maybe you’ll invite one of them to your home? If you are between 10-18 years old and want to take part in a month that will stay with you for a lifetime, apply now. Chaperone hosts are also needed for two week periods during these time frames. Applications will be accepted but hurry for your preferred choice of delegates. Hosting requirements include having a genuine interest, being flexible and willing to spend time with the youth, and having an extra bed available (not necessarily an extra room). Previous hosting experience is not required. All host adults must be complete Wisconsin 4-H Youth Protection. If you have enjoyed a short term hosting experience or simply love working with students from other cultures, consider hosting a Eurasian student through the C.S.I.E.T. 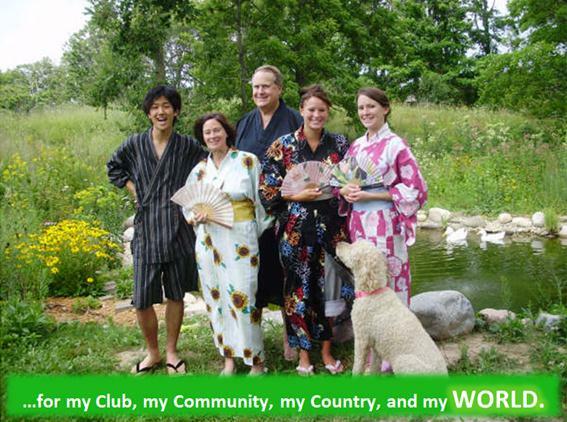 approved 4-H Japan or Future Leaders Exchange (FLEX) High School Programs. Students arrive in August and depart in June. A host brother or sister of high school age is not a prerequisite and young or retired couples involved as 4-H leaders are also urged to apply. For additional information and applications check out Wisconsin 4-H International Programs website http://wi4hinternational.org/; contact your County International Exchange Coordinator, County 4-H Office staff, or WI 4-H International Programs at (608) 262-2491; (608) 262-1557; or wi4hinternational@gmail.com .